Published on September 21, 2015 in Court, General T&T, Law, Politics and Schools. 25 Comments Tags: Chief Justice. Ivor Archie, Professor Max Richards, Raffique Shah, UWI. Last week, at the opening of the new law term, two main speeches were delivered. 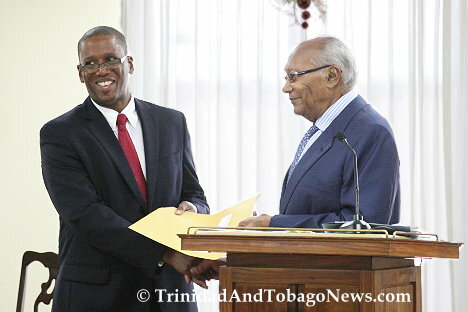 The first was a feature address by former President of the Republic and principal of the UWI St Augustine campus, Professor Max Richards. The second was the customary speech by the Chief Justice, a kind of state-of-the-Judiciary report which, I submit, is a veritable regurgitation of judicial woes that can be re-read year after year with only minor changes to the text. Published on May 21, 2014 in General T&T, Law, Media, People's Partnership and UNC. 5 Comments Tags: Abuse, Anand Ramlogan, Attorney General, Herbert Volney, Politics. 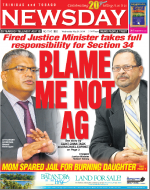 In offering this apology to his former Cabinet colleague, Volney accepted full responsibility for what has become known as the Section 34 fiasco. Volney made these statements at a joint news conference with Ramlogan, at the Ministry of the Attorney General, Cabildo Chambers, Port-of-Spain. Published on September 17, 2013 in Court, Crime in T&T, General T&T, Law, Media and Politics. 13 Comments Tags: Crime in T&T, Ivor Archie, Marijuana, Newsday. AS some regional nations and parts of North and Latin America move towards decriminalising the consumption and possession of marijuana, Chief Justice Ivor Archie has began the ball rolling for similar considerations, in some capacity, for Trinidad and Tobago. Published on December 31, 2011 in Court, General T&T, Law, Media, Opposition Party, People's Partnership, PNM and Politics. 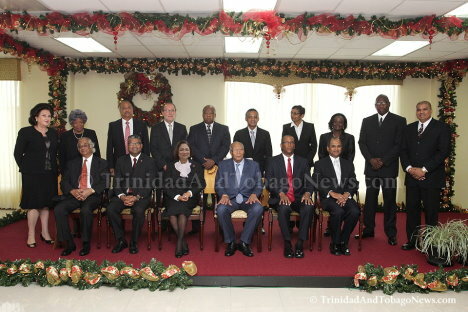 9 Comments Tags: Anand Ramlogan, Attorney General, George Maxwell Richards, Kamla Persad-Bissessar, Keith Rowley, Politics, President, Senior Counsel, T&T Govt.